Teen science fiction book lovers rejoice a new book brings together aliens, mystery and more: On a Friday afternoon in early spring, Glory Eleanor Loomis, 13, of Sackatucket, Long Island makes a shocking discovery in a second-hand bookstore. She finds a novel called Invasion Earth! set in Roswell, New Mexico (her parents’ birthplace) containing a picture of her brother Michael, captioned “George Edward Livermore,” and another of her space-suited mother and father, identified as George’s parents. Glory is further shaken when the main character’s life reads like a horror story version of her own and her mother re-enacts a nerve-wracking scene from the book that Glory has just read. But things take an even weirder and more worrisome turn when she’s suddenly beset by a flurry of eerie flu-like symptoms, collapses onto her bedroom floor, and awakens twelve hours later, bewildered and terrified, in a hospital bathroom. Unaware that she is caught in the grip of biological forces that no one sees or understands, she begins to change in secret, subtle and stupefying ways, till her transformation is complete—and her unprecedented journey has begun. Joining Glory in her twenty-first century coming-of-age story are her parents, Joe and Maryann; best friends, Francine Kim and Tiffany Lopez; math teacher Naomi Feldman; bookstore proprietor Milo Barnes; ruthless corporate agents and hirelings; modern-day renaissance genius Omar Merryman; struggling newspaper reporter Walter Paulson; and the best-looking Metasapiens Glory will ever meet. Be careful what you wish for, someone once said. But in the end, Glory could not have wished for more. Michael Bassen was born and raised in New York City, received his bachelor’s degree from Trinity College (Conn) and his master’s degree from Harvard. He spent the next thirty-two years as a public high school English teacher and union official on Long Island. In his time away from school, he’s written several stories and full-length plays (one of them a finalist in the Eugene O’Neill playwriting competition), created a number of educational games (the last being “Shakespeare’s Mind” based on Shakespeare’s sonnets), and composed a great many songs (with and without lyrics). He currently lives in Lincoln, Rhode Island with his wife, just outside of Providence. Before that he lived on Long Island, in a house not unlike Glory’s, in a town not unlike Sackatucket, for just over three decades. 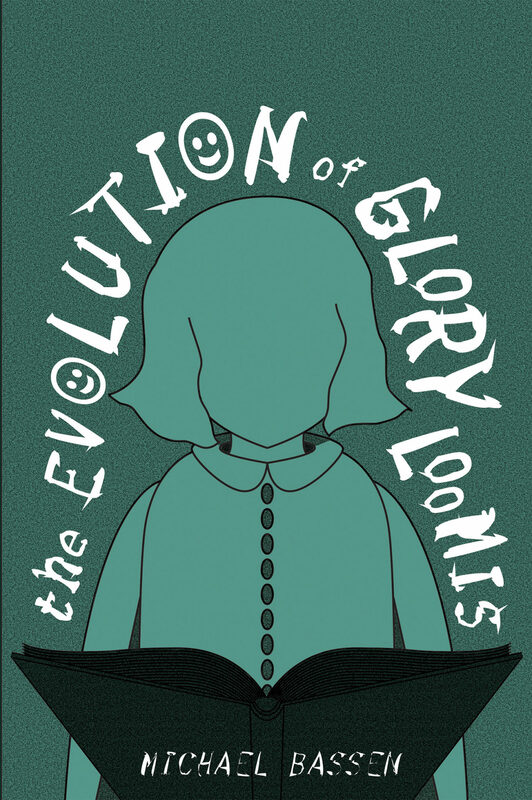 His first novel, The Evolution of Glory Loomis, was largely inspired by his wife (a teacher and writer) and two (now grown-up) daughters (a teacher and a child psychiatrist).